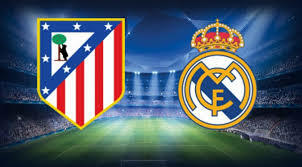 Atletico Madrid host Real Madrid in the big capital derby of La Liga on Saturday afternoon. Let’s take a look at this fixture at the Wanda Metropolitano. Atletico Madrid are currently 2nd in the league with 44 points, trailing on 6 points behind the leader Barcelona. Diego Simeone’s team have a record of 12 wins, 8 draws and 2 losses since the beginning of the season. Atletico were in a good run of results, but in the previous round they suffered a 0-1 loss during the visit to Real Betis. The only goal in the game was scored in the 65th minute, when Sergio Canales was merciless from a penalty kick. This loss was a serious hit to Atletico Madrid and their ambitions to win the title. They were unable to take advantage from Barcelona’s mistake against Valencia. The manager Diego Simeone was not happy with this result. The striker Alvaro Morata made his debut for Atletico, but the former Real Madrid man didn’t do what was expected of him on the pitch. Real Madrid on the other hand are 3rd in La Liga with 42 points – just 2 less than Atletico. For Los Blancos this is a chance to win and go up to 2nd place in the league. But it’s not easy to win at this ground. So far Real Madrid have a record of 13 wins, 3 draws and 6 defeats in the league. In their last five matches in La Liga the European champions are almost perfect – four wins and one loss. Since their defeat against Real Sociedad, Real Madrid enjoyed four consecutive wins. In their last game Real Madrid enjoyed a 3-0 win over Deportivo Alaves at the Bernabeu. Karim Benzema, Vinicius and Marcelo Diaz scored for Santi Solari’s team. These are our thoughts about the La Liga derby between Atletico Madrid and Real Madrid.